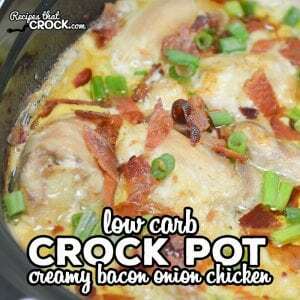 Low Carb Crock Pot Creamy Bacon Onion Chicken - Recipes That Crock! 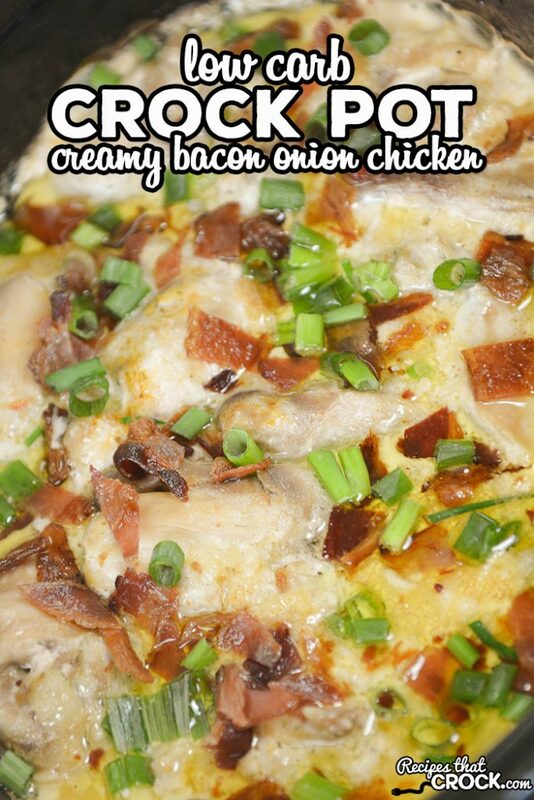 Are you looking for a creamy crock pot chicken that is simple to through together? Our Low Carb Crock Pot Creamy Bacon Onion Chicken is a delicious dish for dinner that even carb lovers enjoy! Note: We use referral links to products we enjoy. 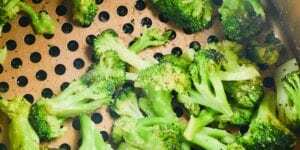 Ever since I started cooking low carb for my family, I have been on a mission to make sure my dishes are even carb-lover approved. So much so that I got a kick out of Miss Add (my carb loving 10 year old) when she had this the other night and exclaimed “Mom- how come everything you make tastes so good!” Well if that is not a sign I am on the right track I don’t know what is! 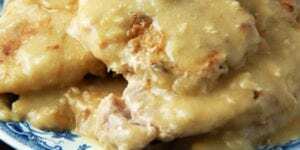 So whether you are cutting carbs or just looking for a yummy new dish to throw in your crock pot, this recipe is sure to be a hit. 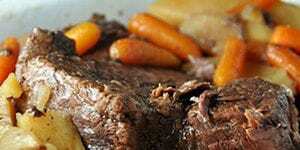 We love making this dish in our casserole crock but you could also use any 6 quart slow cooker. The sauce will be thin after cooking. If you desire thicker sauce, add another brick of cream cheese (cubed) after cooking. 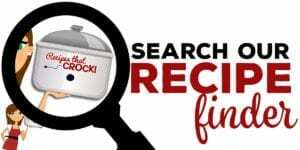 Check out all our favorite recommendations for cookboooks, slow cookers and low carb essentials in our Amazon Influencer Shop. 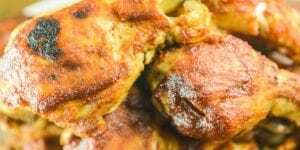 Place chicken thighs, seasoned with steak seasoning, in the bottom of your casserole crock or 6 quart slow cooker. Using a mixer, mix together cream cheese and dip on medium high for 2 minutes. Slather mixture over top of chicken. Stir and top with crumbled bacon and chopped green onion. Made this today and liked it! Even though we forgot the green onions and bacon. Next time I will add a can of chopped green chilies! Soumds great! 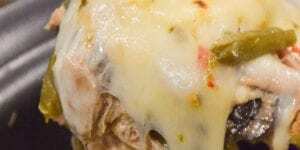 Think it’s ok to sub chicken breasts? They were on sale and I have a bunch! It would be awesome if you guys had an app. 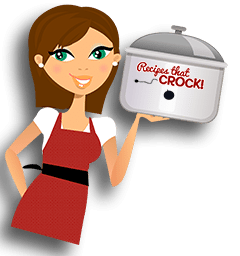 Love the recipes! If the app is in the works, allow is to save our favorite recipes and a grocery list for the recipes. love what you guys do. Makes my life easy.